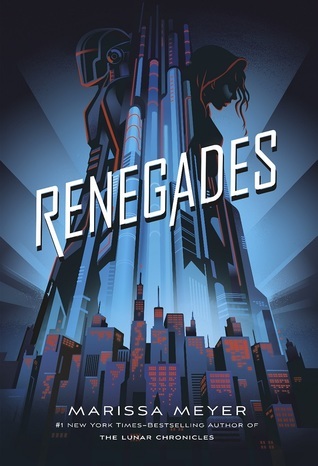 Good Choice Reading: RENEGADES by Marissa Meyer Virtual Signing! RENEGADES by Marissa Meyer Virtual Signing! We're super excited to bring you a new virtual signing for RENEGADES by Marissa Meyer! Renegades is coming out on November 7th, 2017 and we cannot wait! Here's your chance to get a signed & personalized Barnes & Noble SPECIAL EDITION copy of Renegades! Details about the book can be found below. Learn more about Marissa & her books HERE. All books will be signed and shipped during release week from Charleston, SC. This event closes on OCTOBER 27th at midnight. After OCTOBER 27th there are no refunds as all the books would have been ordered and ready for signing. Good Choice Reading/Marissa Meyer will not be held responsible for any lost, stolen, or damaged mail. You will have to file a claim with the post office. All packages are insured up to $50 FREE OF CHARGE, sometimes more depending on the size of your order. *Note: Books will be personalized with a NAME only. Quotes will not be included.